We at Joseph's Flooring carry resilient flooring with a broad range of style, color, and performance options that are sure to fit your needs and budget. Foyer, kitchen, bathroom... whatever area it may be! A resilient vinyl floor can transform any room into an elegant living space. 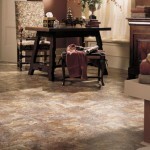 Come to Joseph's Flooring and see what a new vinyl floor can do for you. The return of what used to be called vinyl is based largely on superior designs, textures, and durability. Resilient floors are capable of installation over many existing surfaces and are also easy to clean and resist stains better than most other floors. We have a knowledgeable sales staff that will assist you with the preferred flooring for your type of application.